Very Happy and Proud moment today. 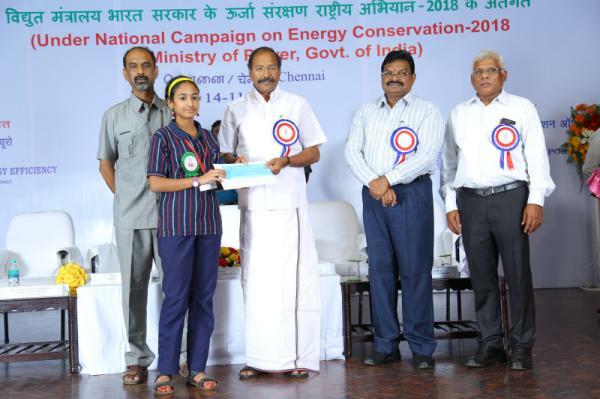 Won 3rd Prize in Category B (Std 7 to 9) in the Tamilnadu State Level Painting Competition on Energy Conservation conducted by Bureau of Energy Efficiency, Govt of India and Powergrid Corporation. Won a cash award of Rs. 10,000/- from Thiru. P. Thangamani, The Minister for Electricity, Prohibition and Excise, Govt of Tamilnadu at Anna University, Vivekananda Auditorium today. 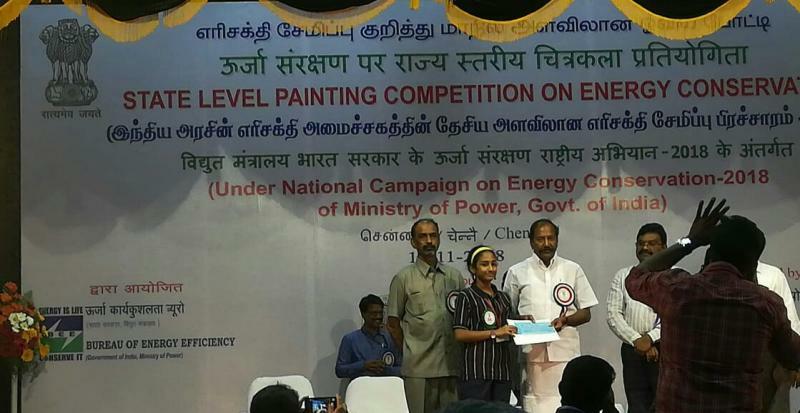 Got an excellent opportunity to represent Tamilnadu in the National Level Painting competition on Dec 12, 2018 at New Delhi.